Kelly had just finished lunch. She was headed back to the office when she started scratching her neck. By the time she entered the building, she was scratching more, on the back of her neck and chest. Suddenly everything seemed to itch. She ran to the restroom to see if she’d gotten something on her. When she looked in the mirror, she was shocked to see that she had broken out in hives. She remembered that as a child, she had suffered a similar rash after being stung by a bee, but she hadn’t been stung. After checking with her doctor and going through a number of tests, Kelly found out that it wasn’t an insect that had caused her skin to react. It was the shrimp she’d had for lunch. It had never bothered her before, but now it was on her list of things to avoid. Food allergies are unpredictable, and can show up at any time of life. Allergy tests helped Kelly to determine exactly what was causing the problem. Not everyone is that lucky, though. Some people may suffer similar reactions, but find nothing through tests. Others go through milder reactions, like acne breakouts and stomach upset, and don’t know what’s causing it. These individuals may be suffering from food “intolerances” or sensitivities rather than food allergies. In general, food allergies are considered more dangerous than food intolerances. An allergy can develop into a severe reaction that is actually life threatening. Food intolerances are rarely that serious, though they can cause difficult, recurring symptoms. The main difference is that food allergies usually cause symptoms right away, before the food starts to be digested, whereas food intolerances occur mainly because of digestive issues. If you, like Kelly, have a food allergy, you can usually find out by seeing your allergy doctor and going through a food allergy test. Food intolerances, though, can be a bit more difficult to track down. Can your doctor help you determine the source of a food intolerance? In some cases, yes. If you have celiac disease, for example, which is considered a form of food intolerance (since for these people, gluten causes symptoms in the digestive tract), your doctor may be able to tell via a blood test. There are also lactose intolerance tests to help determine if you may be intolerant to dairy. Other than that, however, food intolerance tests tend to be unreliable. Allergy tests can yield negative results even though the food is causing symptoms, for example, and blood tests may or may not show results. Could you have food intolerances that you’re not aware of? It’s entirely possible, particularly if you suffer regular acne breakouts and digestive symptoms like bloating, cramps, gas, diarrhea, and others. You may think these are just normal symptoms that everyone goes through, but they’re actually signs that something’s not working quite right in your digestive system. You can help yourself to figure out what foods may be causing your symptoms. Try these seven steps, and see what you discover. They may be the first steps toward feeling a lot better—and enjoying clearer skin! Keep a food diary: Keep track of everything you eat and how it affects you for at least a week (two weeks is preferable). You can make up one of your own, or try one of the many free templates available online, like this one from Allergy U.K. Determine possible culprits: Once you’ve completed a week or two of your food diary, take some time to sit down and examine your data. Make a note of possible foods that could be causing your symptoms—including all those you ate and beverages you drank (other than water, if you’re water-intolerant, your problems are out of this world) before symptoms showed up. Include all the symptoms listed above as symptoms of allergies and food intolerances. Put all suspect foods on a separate list. Follow an elimination diet: Make a point to eliminate all suspect foods from your diet. If you found several that may be causing symptoms, this may be difficult to do, but if it means feeling and looking better, it’s likely worth it. 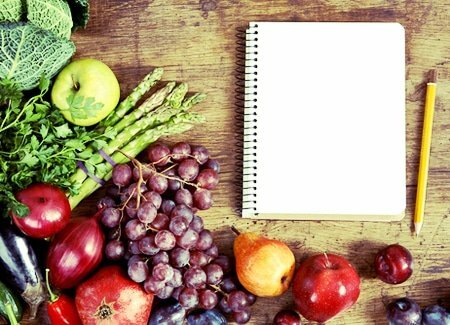 Start by avoiding all the foods on your list of potential culprits, for at least a week. This will give your body time to flush these foods out and recover. Gradually reintroduce the foods one by one: Gradually add the suspect foods back into your diet, one by one. Give each at least three days of testing. So if you removed milk, for example, try a small amount first—a quarter cup in the morning, for example. Note any symptoms you may have. If you don’t have any, try a little more the next day, and so on. If you do notice symptoms, add “milk” to another master list of potential culprits. Make sure you stick to only one food at a time, or your results won’t be reliable. This process is likely to take some time, so be patient and go step by step. Avoid culprits for at least three months: Once you’ve completed your master list of foods that caused you symptoms, use it to avoid those foods for at least three months. Finding a food intolerance doesn’t mean you have to avoid it forever. Sometimes, you’ll “outgrow” the intolerance and be able to enjoy the food again down the road. If you really miss it after the three months, try reintroducing it again, but always keep track of how you feel after eating it to make sure you’re not setting yourself up to suffer symptoms again. 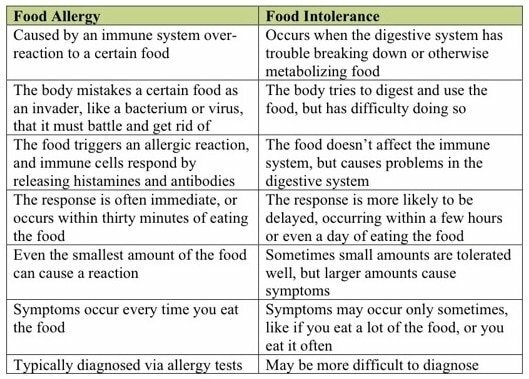 Do you have food allergies or a food intolerance? Have you done an elimination diet? Please share your tips. This is me all the way through. I though I was superhuman but then I have hay fever. I suffer from allergies in the environment, animals and from ingestion. I mainly have allergies to wheat products, dairy products and certain nuts only.